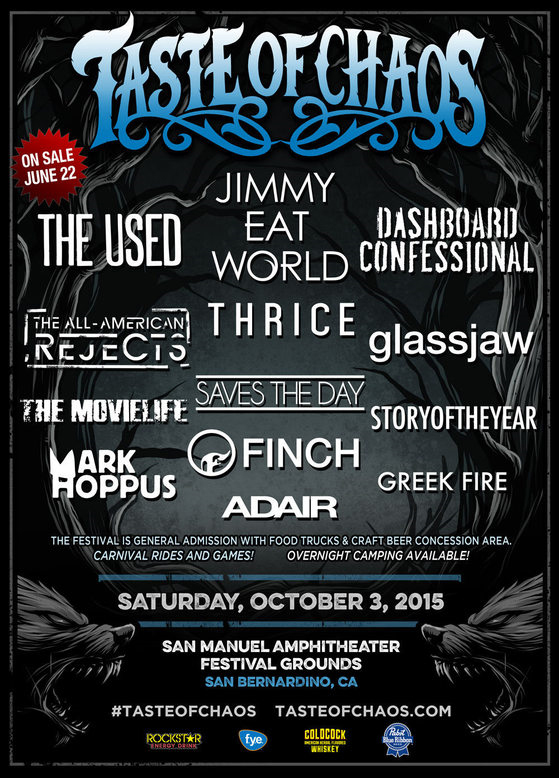 Dashboard Confessional, Taking Back Sunday, Quicksand, The Get Up Kids, The Starting Line, Saosin, Senses Fail, The Early November, The Anniversary, Hot Rod Circuit, and Reggie And The Full Effect have been set for the 2016 Taste Of Chaos festival. 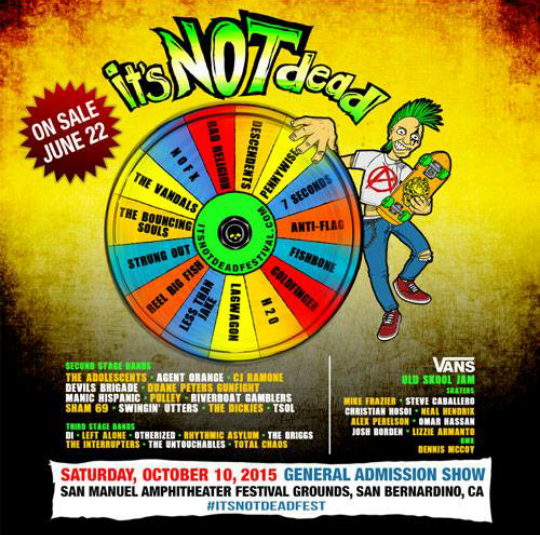 The event will take place at the San Manuel Amphitheater Festival Grounds in San Bernardino, CA on July 16. Dashboard Confessional, Taking Back Sunday, Saosin (feat. Anthony Green) and The Early November have been set for the 2016 Taste Of Chaos tour. Check out the dates below. NOFX, Bad Religion, The Adolescents, DI, Agent Orange, Left Alone, Descendents, CJ Ramone, Otherized, Pennywise, Devil’s Brigade, Rhythmic Asylum, 7Seconds, Duane Peters Gunfight, The Briggs, Anti Flag, Manic Hispanic, The Interrupters, Fishbone, Pulley, The Untouchables, Goldfinger, Riverboat Gamblers, Total Chaos, H20,Sham 69, Lagwagon, Swingin’ Utters’, Less Than Jake, The Dickies, Reel Big Fish, TSOL, Strung Out, The Bouncing Souls and The Vandals.